Momo is one of my favorite dishes. The origin of momo is in Tibet, but now it is very popular all through the globe. Momo is traditionally made with beef, Sichuan pepper and peanut. Today I am going to present an exclusive veg momo taken from Chinese cuisine. 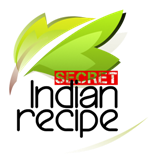 Tapashi Dey's Secret Indian Recipe ! Mix flour, salt and oil in a wide bowl. Add little amount of water at a time and knead into a soft dough. Cover the dough with a wet, clean cloth for an hour. Heat oil in a pan, add tofu and soya granules and saute for few seconds. Add salt and pepper, mix well and cook for 2 or 3 minutes. Then add chopped onions and grated ginger and mix. Keep aside. Make 12 equal size balls with the dough. Roll out each ball, fill in the mixture around 1 tbsp full. Brush oil on momos and steam for 10/15 minutes. Chatpatta paneer (tangy and spicy cottag . . .
Paneer matar ki sabzi (cottage cheese an . . .
Pudina palak paneer ( cottage cheese in . . .
Paneer ke parathe (indian flat bread stu . . .
Paneer paratha (cottage cheese stuffed i . . .
Paneer butter masala(cottage cheesse wit . . .
Kaju posta paneer(cashew poppy seeds wit . . .
Paneer butter masala (cottage cheese in . . .
Paneer jalfrezi (paneer cooked in a trad . . .
Kadai paneer bhurji (scrambled cottage c . . .